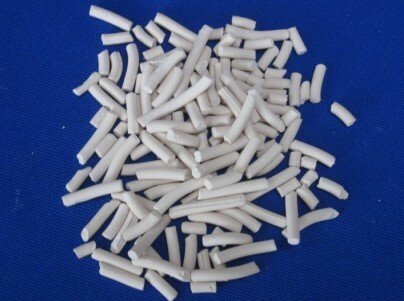 Insulating glass molecular sieve is the product to provide the insulating glass industry with the highest water capacity and lowest gas adsorption for solvent-free systems. Insulating glass molecular sieve has been designed as a high water capacity adsorbent with the lowest capacity for air or other gases. The highly selective pore structure of assures excellent water dew point protection while eliminating the co-adsorption of gases in the sealed air space. Because insulating glass molecular sieve minimizes pick up of other gases, it reduces adsorbent contribution unit deflection and stress under severe climatic conditions. Insulating glass molecular sieve increases gas-filled nit production rates since units can be sealed immediately after filling. In addition, the use of insulating glass molecular sieve maintains unit sound and heating insulation values by minimizing the adsorption of gases from the sealed space. 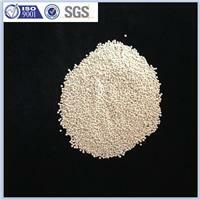 Unlike blends of two different desiccants that separate because of different component densities,insulating glass molecular sieve is homogeneous and uniform. Each bead is like every other. There’s no need to worry about unit-to-unit variation, which can occur with blends. Insulating glass molecular sieve is supplied as a fully activated Insulating Glass Adsorbent, ready for use in spacer filling operations.